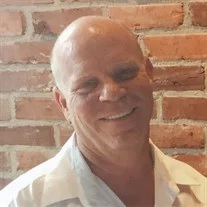 William “Billy” Gordon Kerr, 52, of Rossville, passed away Monday October 8, 2018. He was a lifelong resident of the North Georgia area. He graduated from Rossville High School in 1986, where he played football. He proudly served his country in the U.S. Army. He was a thrill seeker who loved Tennessee Football, rafting the Ocoee with Outland Expeditions and was a roller coaster enthusiast. Billy’s favorite thrill of all was being a loving single-father to his daughters, where he demonstrated his priceless characteristics of patience, selflessness, humor, strength and never-ending love toward others. He was preceded in death by his brother, Butch Kerr and his uncle, Danny Kerr. He is survived by his parents, Herbert Kerr and Evelyn Beall; two daughters, Shelby Kerr and Shaie Kerr; sisters, Barbara Tucker and Carrie (Michael) Pritchett; grandchild, Athena “Baby Girl”; and several nieces and nephews. The family will receive friends from 2-8 p.m. on Thursday Oct. 11 and from 11 a.m. on Friday until the time of service. A memorial service will be held at 2 p.m. on Friday, Oct. 12 in the funeral home chapel, with Rev. Barry Williams officiating. Arrangements by W. L. Wilson & Sons Funeral Home-Ft. Oglethorpe Chapel.